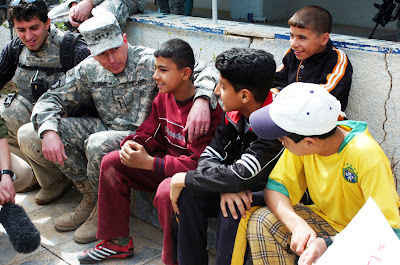 General David Petraeus brought Victory to Iraq. According to The Times of London General Petraeus will be replaced in Afghanistan before the end of the year. The Times of London is reporting from exclusive sources that General David Petraeus, the commander of the US-led international coalition in Afghanistan, is to be replaced. “General David Petraeus, the most celebrated American soldier of his generation, is to leave his post as commander of US and Nato forces in Afghanistan. The Times can reveal that the Pentagon aims to replace General Petraeus, who was appointed less than eight months ago, by the end of the year. Sources have confirmed that the search for a new commander in Kabul is under way,” reported The Times. The report said the US is seeking sweeping changes of top US leadership in Afghanistan with the aim of establishing a view the efforts were not dependent on Petraeus’ reputation. The goal is to replace him by the end of the year. Petraeus was installed as the commanding general only eight months ago, replacing General Stanley McChrystal who was pushed out over remarks made to a Rolling Stone magazine reporter. “General Petraeus is doing a brilliant job but he’s been going virtually non-stop since 9/11 [and] he can’t do it forever,” Geoff Morrell, the Pentagon press secretary, told The Times. Changes in US leadership in Afghanistan is to also include replacing top diplomatic spots in Afghanistan and possible other military leaders; including Lieutenant-General David Rodriguez, deputy to Petraeus. Virtually the entire U.S. civilian and military leadership in Afghanistan is expected to leave in the coming months, including Ambassador Karl Eikenberry and the embassy’s other four most senior officials, Gen. David H. Petraeus, commander of the U.S.-led international coalition, and Lt. Gen. David Rodriguez, who runs day-to-day military operations there. UPDATE: Ace says the rumors are not true.